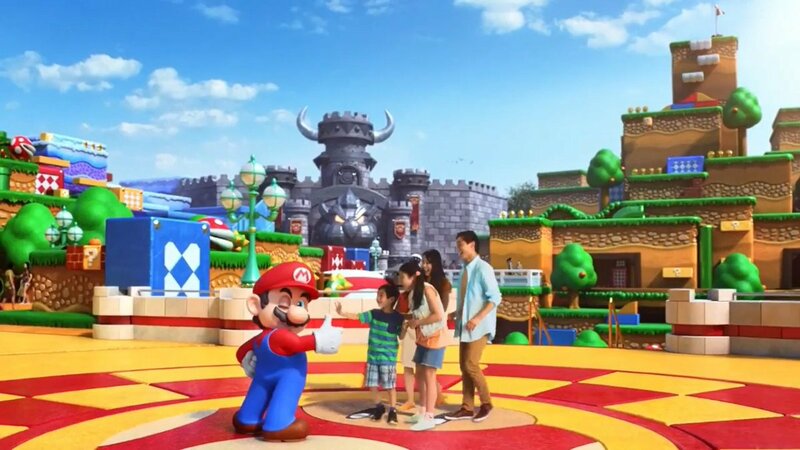 Before the Q&A segment of the Nintendo investors briefing began, Nintendo president Shuntaro Furukawa provided an update on Universal Park Japan’s Super Nintendo World, as well as Illumination’s Super Mario movie. The former will be ready for 2020, and the latter is aiming for a release in 2022. Furukawa did not give any further details. This is gonna be so cool! I won’t get to see it, of course, but I’m still excited! Wow. It’s great to hear that 2020 will be so much fun with Nintendo World At Universal Park Japan. I know it’s going to be awesome when it’s finished. I hope someone will treat me there. Just one more year! Will be hard to imagine Mario and Luigi speaking with Full Sentences, and for Mario Characters to be dubbed in different languages. I mean when the Mario Franchise did start voice acting, it was decided that the characters would sound the same in all parts of the world (even those that speak different languages) and that the Plumbers would not talk full sentences with text boxes. For whoever voices Mario and Luigi in Illumnination’s Mario movie, it would be appreciated if like in the games that it’s the same person, I personally can’t imagine those 2 not being voiced by the same person. They did in the cartoons though. Illumination sure has a good amount set for the next 2 years. Sometime it would be nice if they even did Fully CGI Reboots of Traditionally Animated Films from Universal in the past (those from Don Bluth for instance). Wasn’t the Mario Movie on track to be out this year? I could have sworn I read that somewhere. By the time this film comes out, I’ll be over 30. And feel like a shameful adult?